The devastating drought that has struck Somalia has spread beyond it’s borders to include 23 districts in Kenya. The United Nations reports that more than half a million children in Kenya are either moderately or severely malnourished. With funding from USAID’s Office of Foreign Disaster Assistance, Mercy-USA is partnering with the Kenyan Ministry of Health to implement an integrated emergency nutrition, water, sanitation and hygiene project in Garissa County, Kenya. 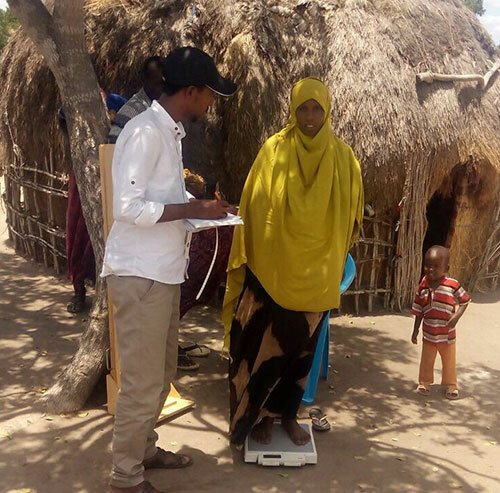 This vital project, which serves children under the age of 5, pregnant women and nursing mothers in three sub-counties within Garissa County, aims to reduce malnutrition among this vulnerable population. Mercy-USA has community health workers based in villages throughout these sub-counties. They assist our outreach mobile nutrition and medical teams to evaluate and identify children and mothers in need. These outreach teams visit each village on a regular and needs-based rotation providing vital medical care in places where trained health workers are scarce.